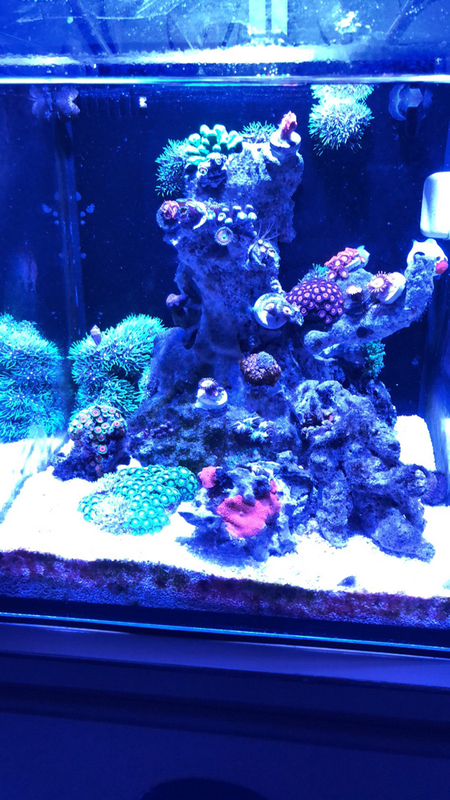 Hey guys, here are couple pics of my Nuvo 10, zoa dominated tank, hopefully they will take off and cover the whole rock structure. Keep those gsp in check tho. Thats what I'd like to do. Color up my tank. I don't care about rarity. Nice looking tank!!! Are those BBEBs in the back right corner? Very nice. What light are you running? They’re zoas, I think they’re also referred to as blondies. 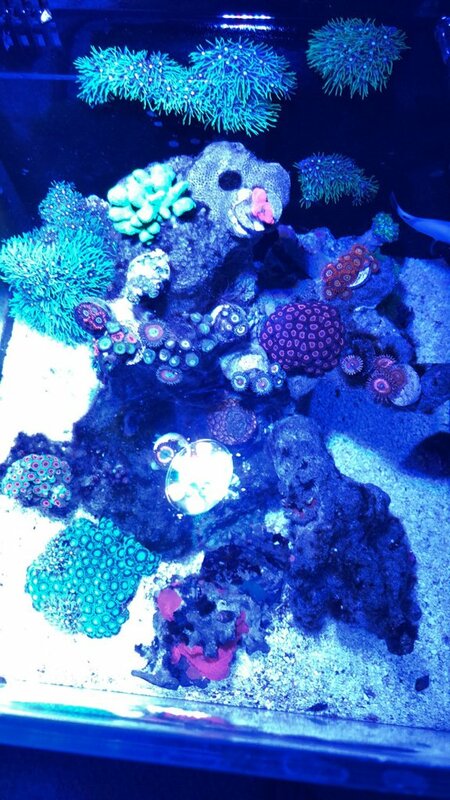 What is the name of the zoas on the right side towards the back in this pic (has about 14 heads).